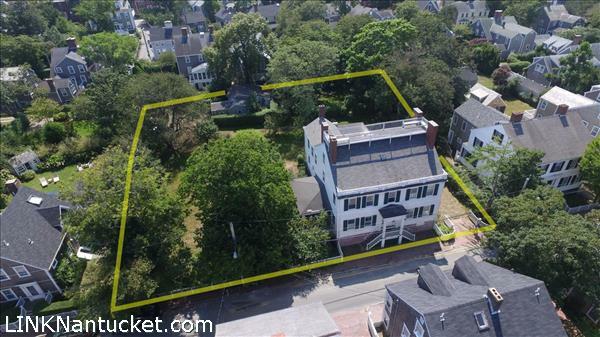 It is extraordinary that this property remains intact at 26,637 square feet, making it one of the largest parcels of land in Nantucket\’s Old Historic District spanning from India Street to Rose Lane. Sitting high above India Street, this elegant Georgian-style home was built for noted whaling Captain David J. Baxter in the early 1830s. 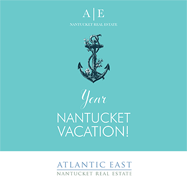 The home exudes a charm and character that evokes thoughts of Nantucket\’s prosperity during the glory days of the whaling era. The interior boasts high ceilings, many original details and spacious rooms.